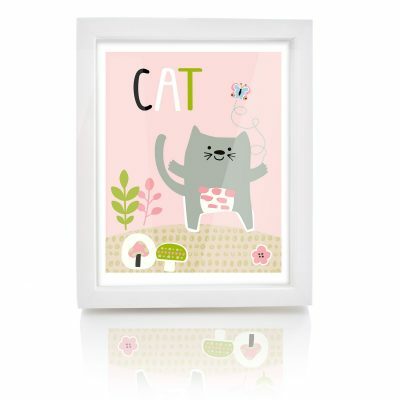 A beautiful and thoughtful Framed Gift for a baby girl’s room. This print is from a group of 4 designs. 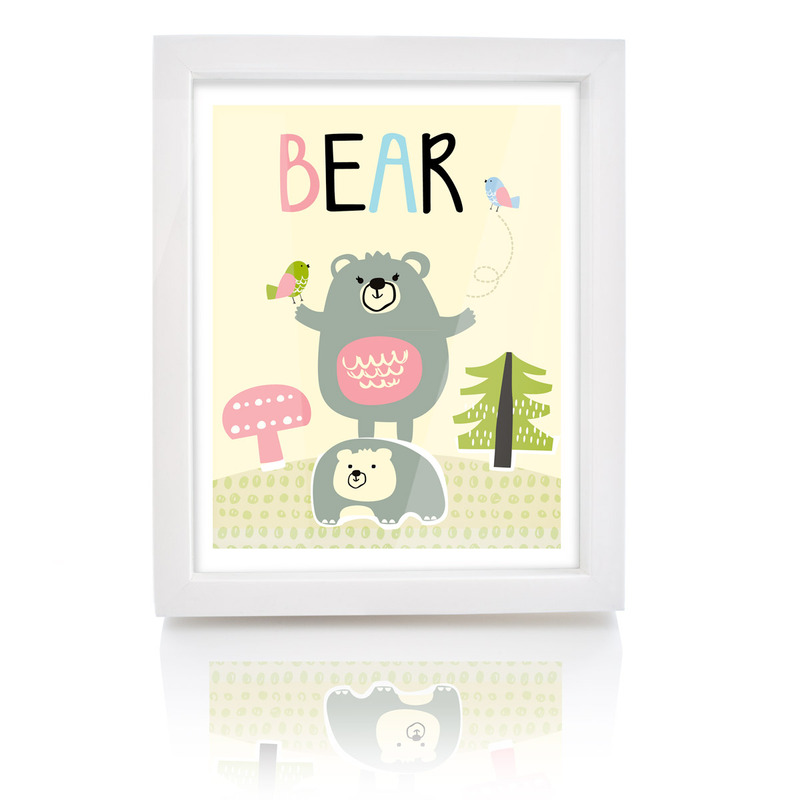 You can buy separate or as part of the Forest Friends Collection. There is a discounted rate when bought as a collection. Made in Ireland. This print is a unique design by Niamh Fitzsimons. 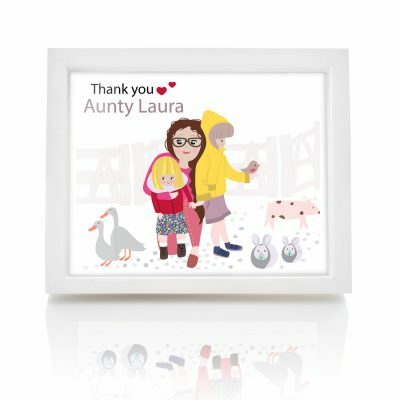 It measures 6.5 x 8.52 inches with a white border and comes in a beautiful luxury 8 x 10 frame. Shipped from Dublin, Ireland within 3 days, Shipping Worldwide. All prints are signed and dated by Niamh Fitzsimons. Each print ships FRAMED in bubblewrap. Please note the colours may be slightly different than the on screen colour.